Henry Whitman was walking home from the shop in the April afternoon. The spring was very early that year. The meadows were quite green, and in the damp hollows the green assumed a violet tinge—sometimes from violets themselves, sometimes from the shadows. The trees already showed shadows as of a multitude of bird wings; the peach-trees stood aloof in rosy nimbuses, and the cherry-trees were faintly a-flutter with white through an intense gloss of gold-green. Henry realized all the glory of it, but it filled him with a renewal of the sad and bitter resentment, which was his usual mood, instead of joy. He was past middle-age. He worked in a shoe-shop. He had worked in a shoe-shop since he was a young man. There was nothing else in store for him until he was turned out because of old age. Then the future looked like a lurid sunset of misery. He earned reasonably good wages for a man of his years, but prices were so high that he was not able to save a cent. There had been unusual expenses during the past ten years, too. His wife Sylvia had not been well, and once he himself had been laid up six weeks with rheumatism. The doctor charged two dollars for every visit, and the bill was not quite settled yet. Then the little house which had come to him from his father, encumbered with a mortgage as is usual, had all at once seemed to need repairs at every point. The roof had leaked like a sieve, two windows had been blown in, the paint had turned a gray-black, the gutters had been out of order. He had not quite settled the bill for these repairs. 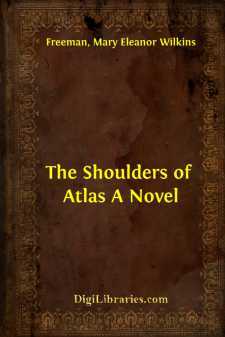 He realized it always as an actual physical incubus upon his slender, bowed shoulders. He came of a race who were impatient of debt, and who regarded with proud disdain all gratuitous benefits from their fellow-men. Henry always walked a long route from the shop in order to avoid passing the houses of the doctor and the carpenter whom he owed. Once he had saved a little money; that was twenty-odd years before; but he had invested it foolishly, and lost every cent. That transaction he regarded with hatred, both of himself and of the people who had advised him to risk and lose his hard-earned dollars. The small sum which he had lost had come to assume colossal proportions in his mind. He used, in his bitterest moments, to reckon up on a scrap of paper what it might have amounted to, if it had been put out at interest, by this time. He always came out a rich man, by his calculations, if it had not been for that unwise investment. He often told his wife Sylvia that they might have been rich people if it had not been for that; that he would not have been tied to a shoe-shop, nor she have been obliged to work so hard.